The agency said Wednesday that after observing a “slight but noticeable” uptick in voluntary reports related to seizures, it referred to poison control centers and its own incident reports stretching back nearly a decade and discovered 35 seizure cases that specifically mentioned vaping. The FDA said that most of these cases were in young adults or kids. 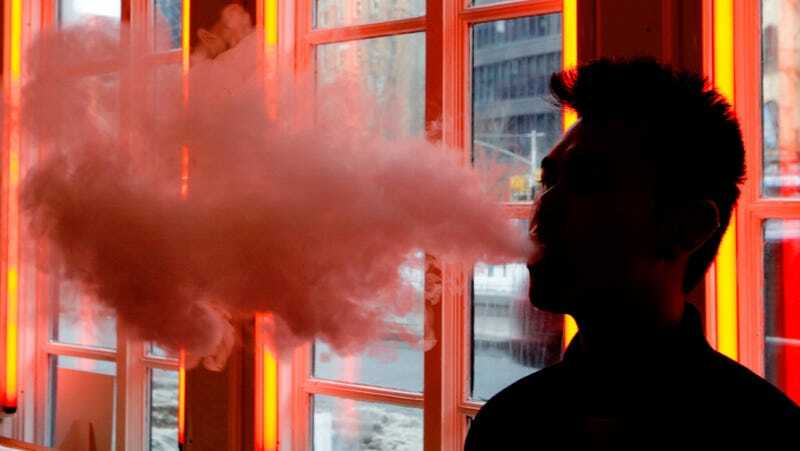 In a statement about the FDA’s announcement, outgoing Commissioner Scott Gottlieb reiterated that e-cigarettes are not without health risks, particularly in youth. However, Gottlieb did stress that more information is needed about any potential correlation between e-cigarettes and seizures, including additional research and incident reports. Among those 35 cases of vaping-related seizures reported, a few cases were in individuals who had previously had experienced them. The FDA also noted that a few cases involved a combination of vape products with other substances, including amphetamines or weed. “The FDA should look into all this, but it’s important to note that the data as reported support no conclusions at this stage and people should exercise caution in drawing a conclusion that use of vapor means seizures,” she added. Gottlieb said that the agency decided to share the information publicly because it’s the job of the FDA to “communicate about potential safety concerns associated with the products we regulate that are under scientific investigation by the agency.” He said the announcement was also intended to urge more people to report any adverse health effects they believe are linked to vaping. The FDA said that anyone who thinks they are having a seizure should seek medical attention immediately.